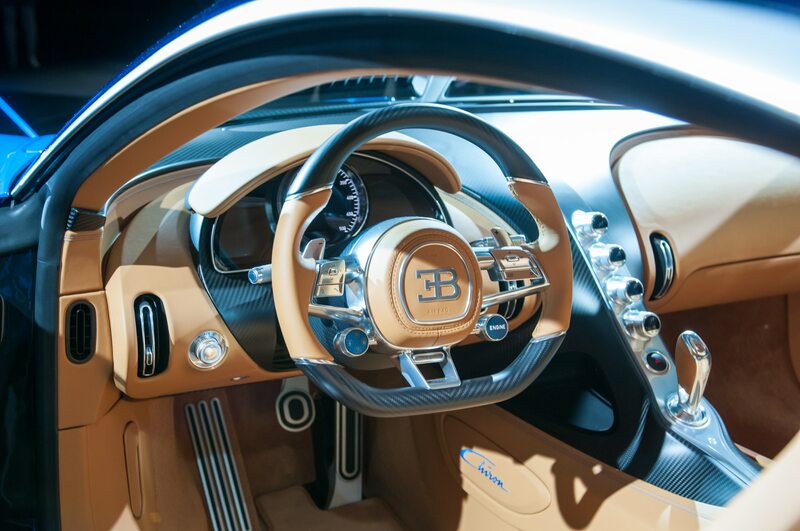 It feels like forever since the Bugatti Veyron staked its claim as the world’s fastest production car. 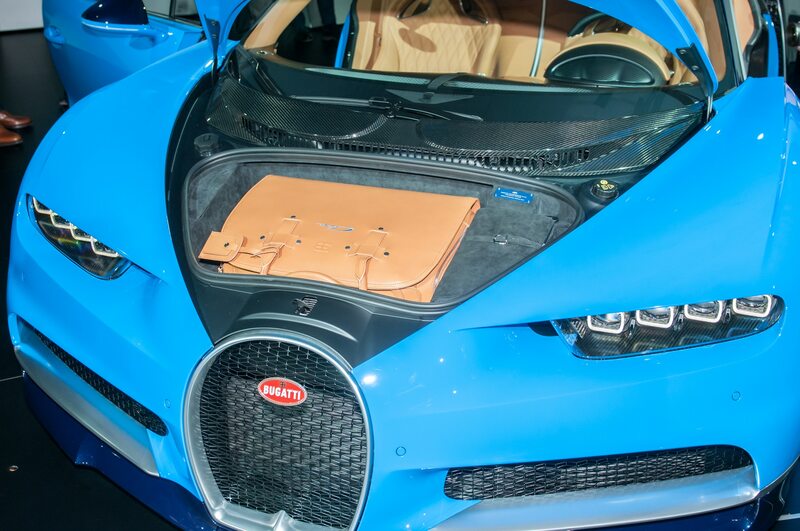 We’ve subsequently seen the likes of the incredibly capable Ferrari LaFerrari, McLaren P1, and Porsche 918 Spyder hypercars, but even these world-class machines don’t have the speed to top the Veyron. 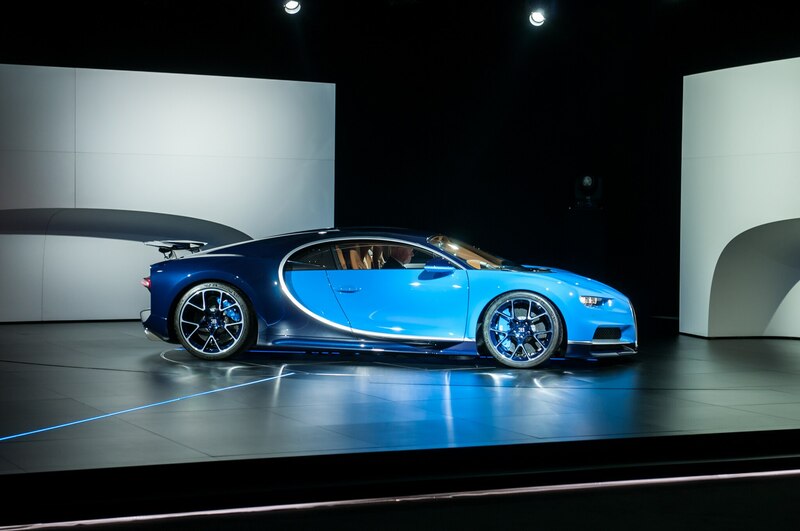 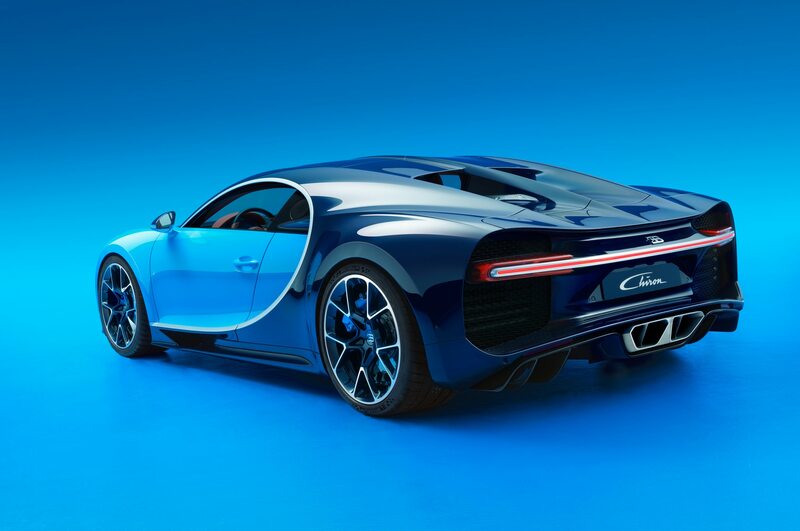 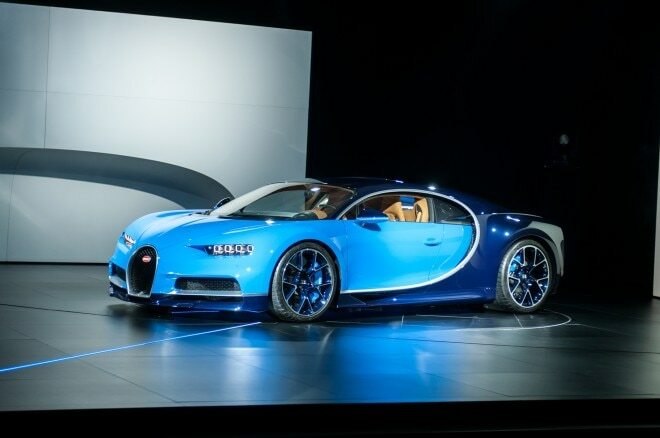 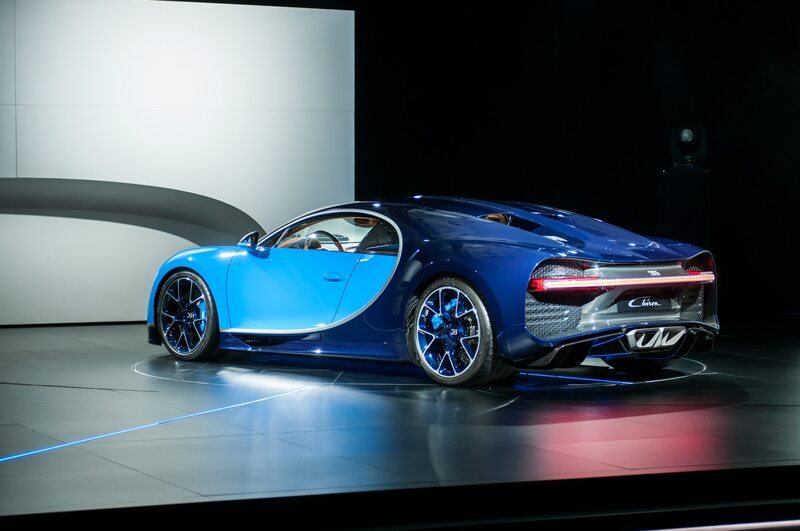 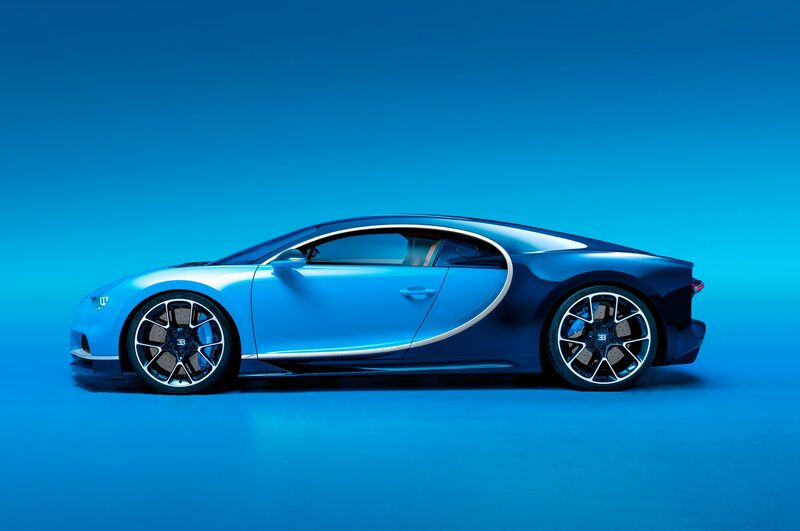 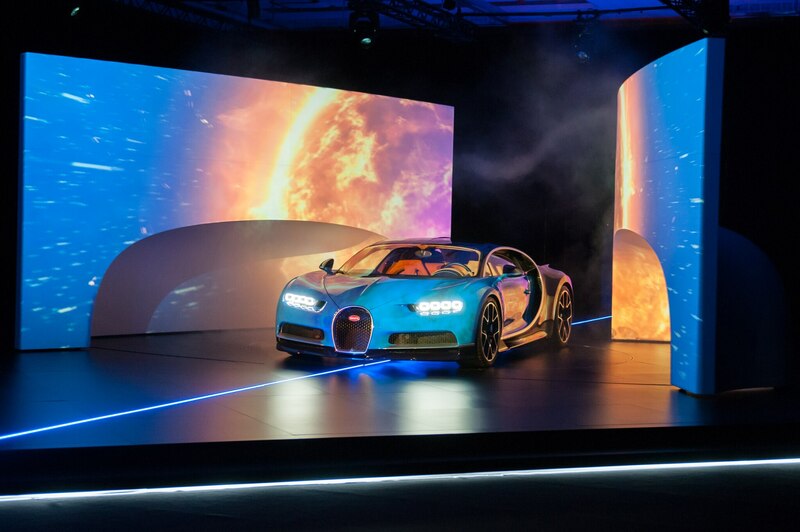 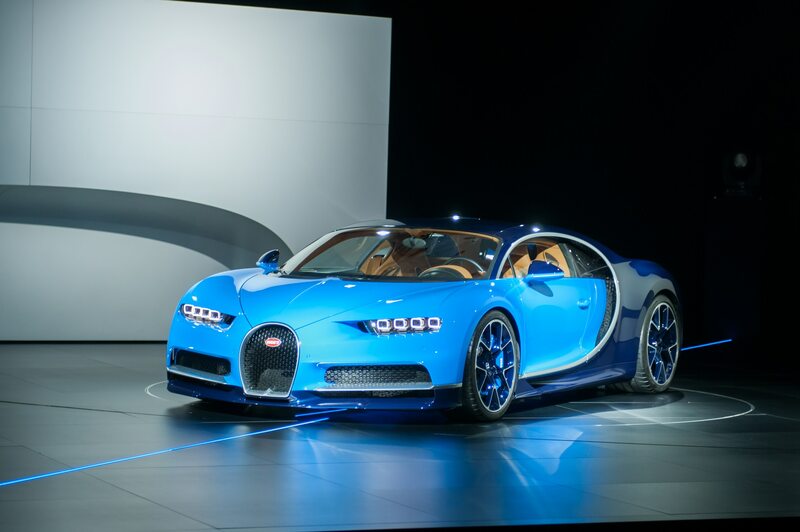 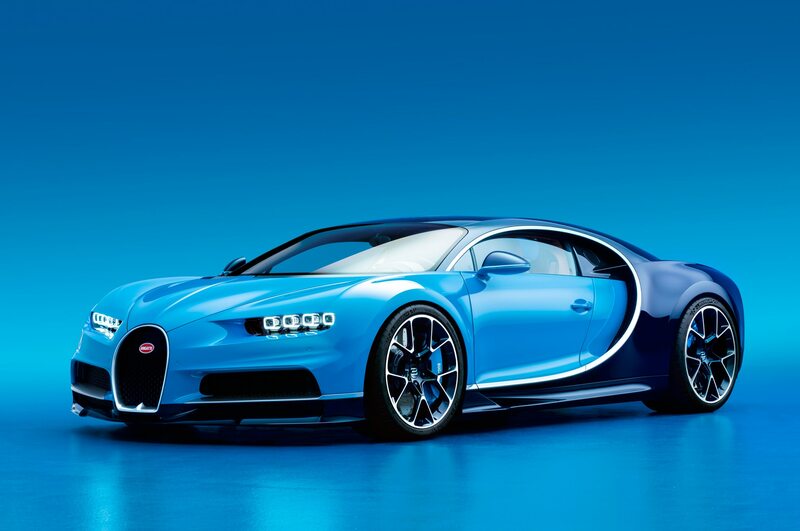 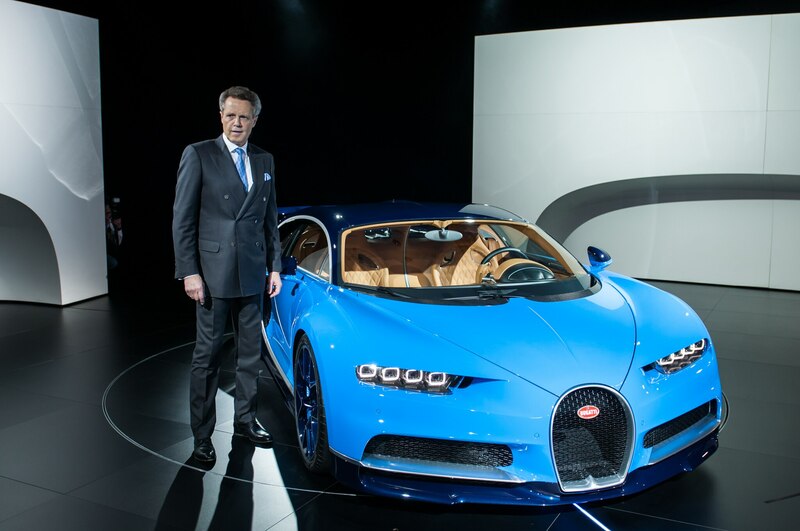 And now they have a new, even faster bogey to chase down, the Bugatti Chiron—Bugatti’s long-awaited 1,500-hp successor to the Veyron that’s ready to stun the world again. 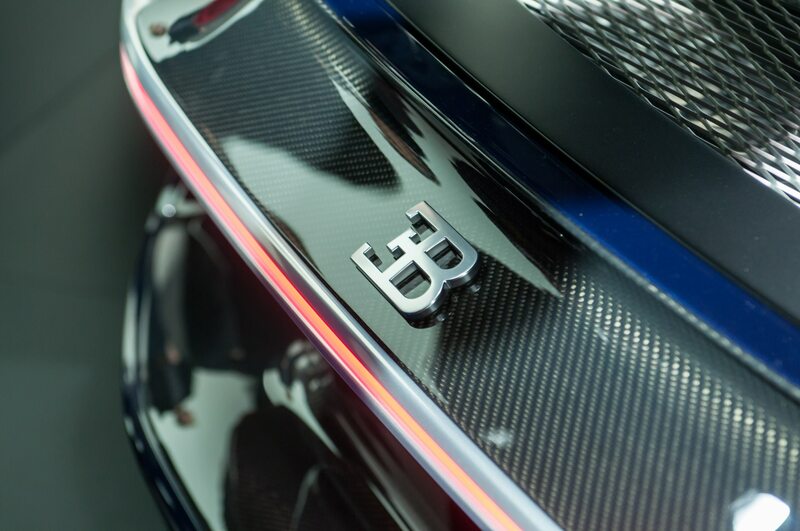 Led by charismatic front man Wolfgang Dürheimer, CEO of Bentley and Bugatti, the team from Molsheim has created another mind-bending supercar with a completely redesigned, quad-turbocharged, 8.0-liter W-16 engine that produces the aforementioned 1,500 horsepower, the most ever for a series production vehicle. 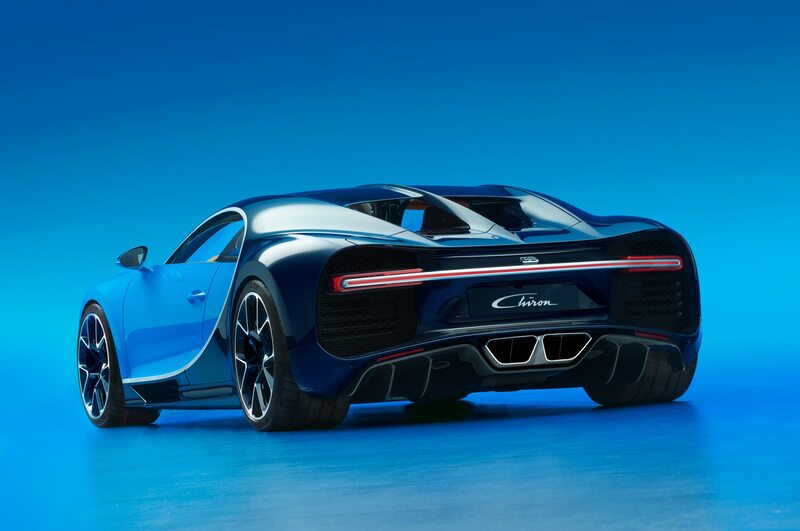 Power gains come from the Chiron’s bigger turbochargers that benefit from a new two-stage system, which Bugatti’s engineers say ensures “maximum acceleration from a standstill without the ‘turbo lag’ feared by sports car drivers.” As such, two of the turbochargers are spinning from a start, while the other two spool up around 3,800 rpm. 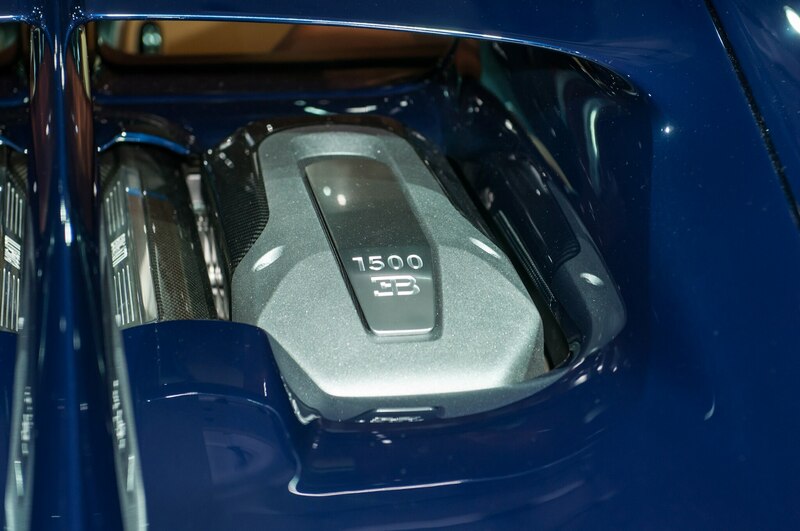 Also helping boost power is a new titanium exhaust system with four pre-converters and two massive main catalytic converters. 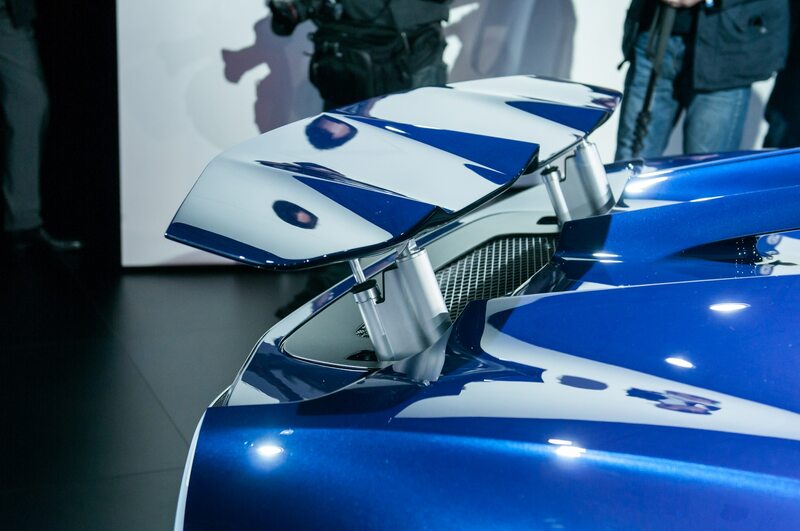 The exhaust expels through six pipes and a titanium silencer. 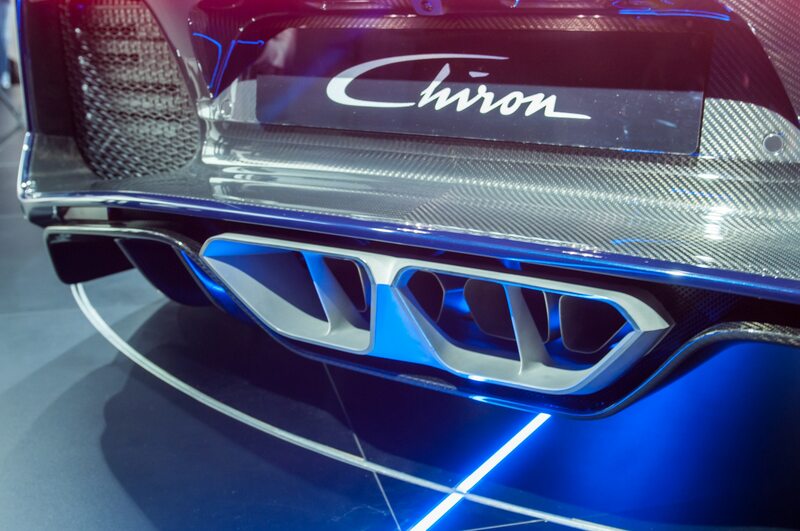 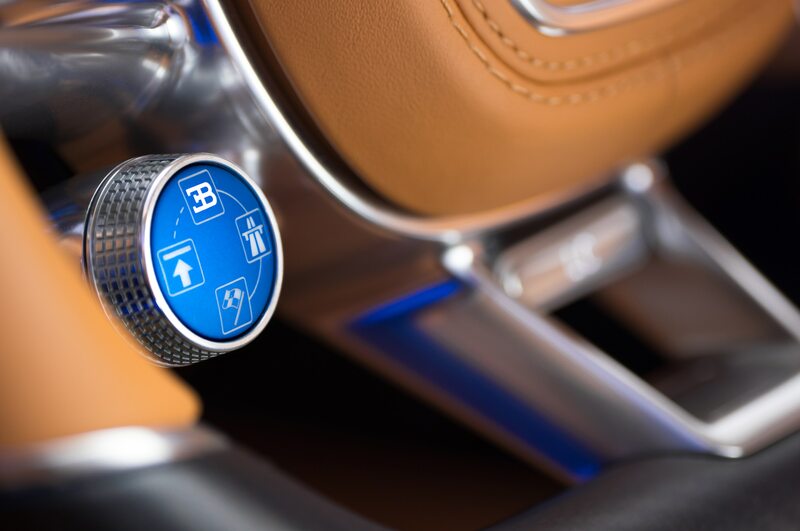 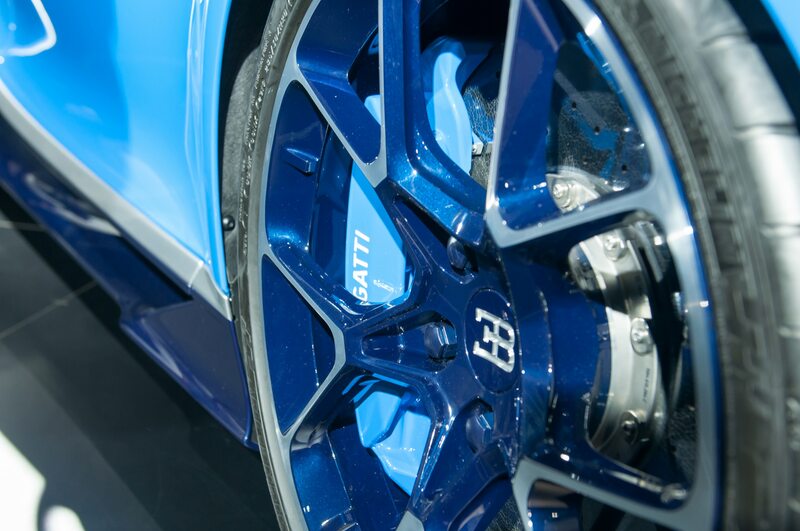 Because of this new two-stage system, an insider at Bugatti says the Chiron’s acceleration could physically knock the wind out of the driver if he or she is not paying attention. 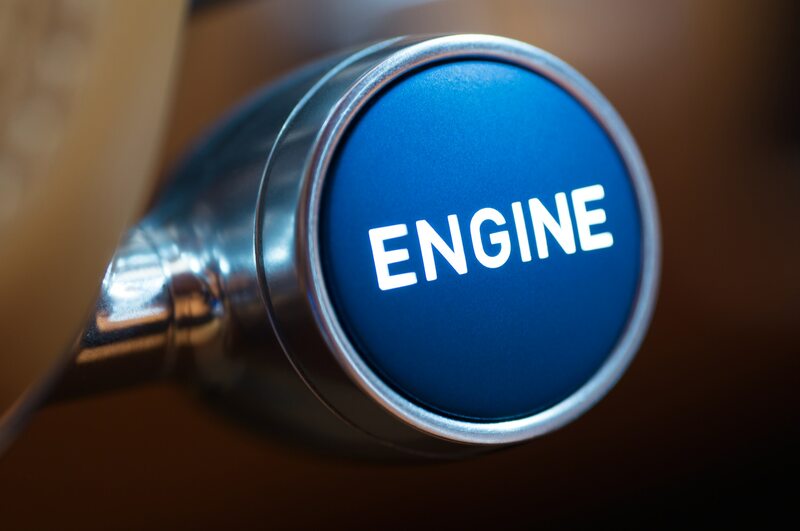 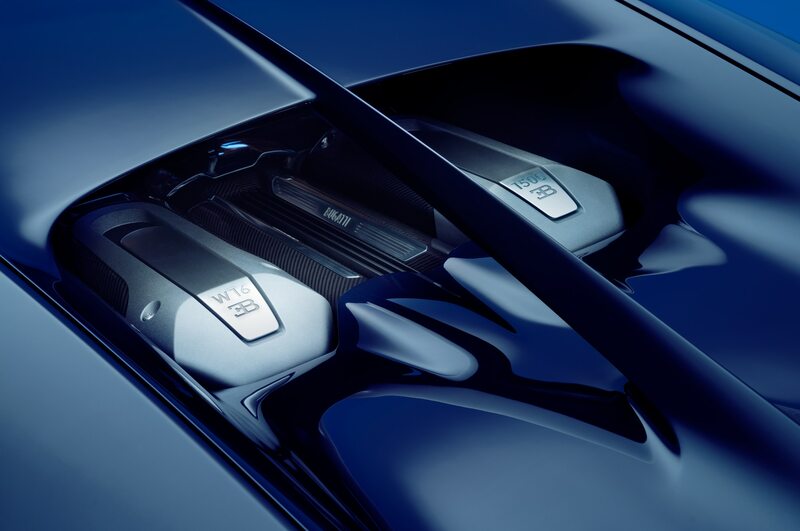 With over 1,100 lb-ft of torque on tap available from 2,000 to 6,000 rpm, we don’t think that’s hyperbole. 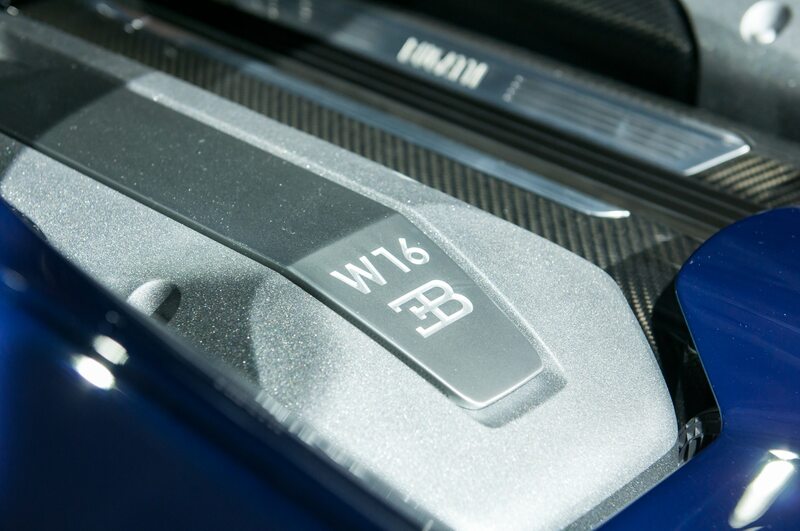 A seven-speed dual-clutch gearbox specially designed to handle the massive amount of torque on tap features the largest high-performance clutch ever fitted to a production car, and permanent all-wheel drive remains as the means of putting all that power to the pavement. 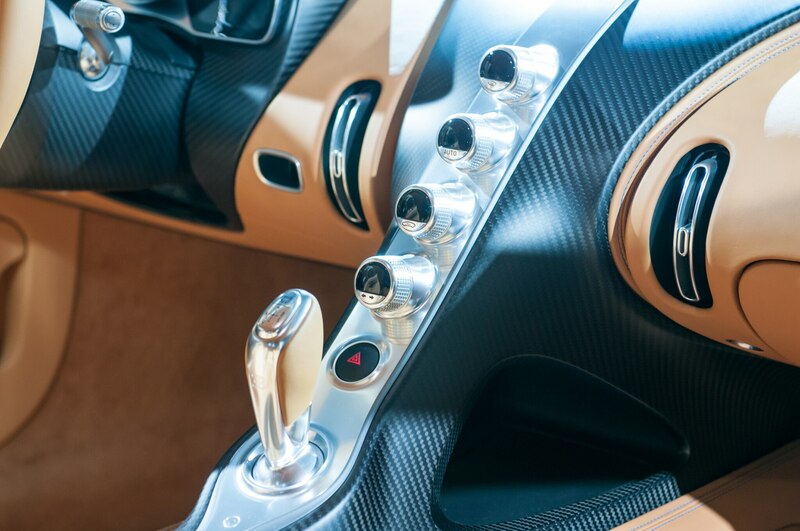 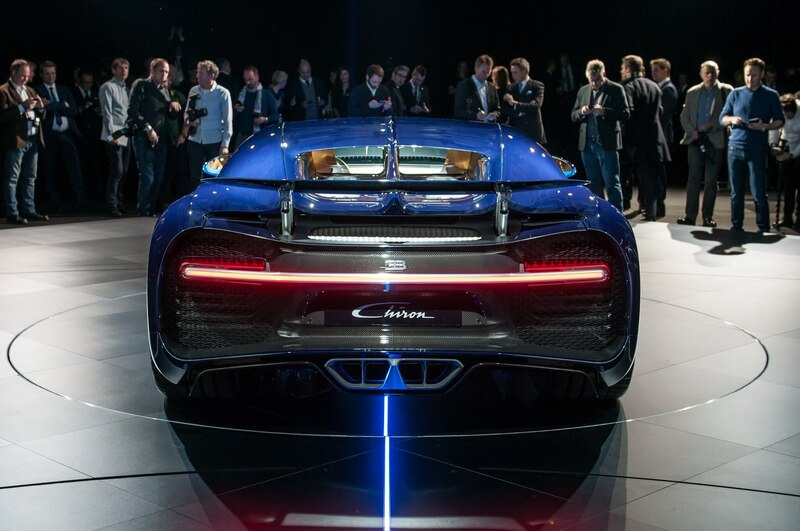 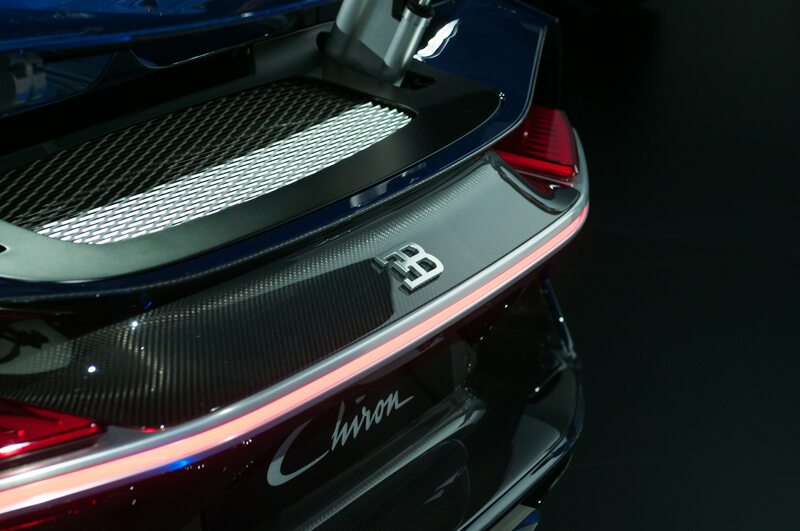 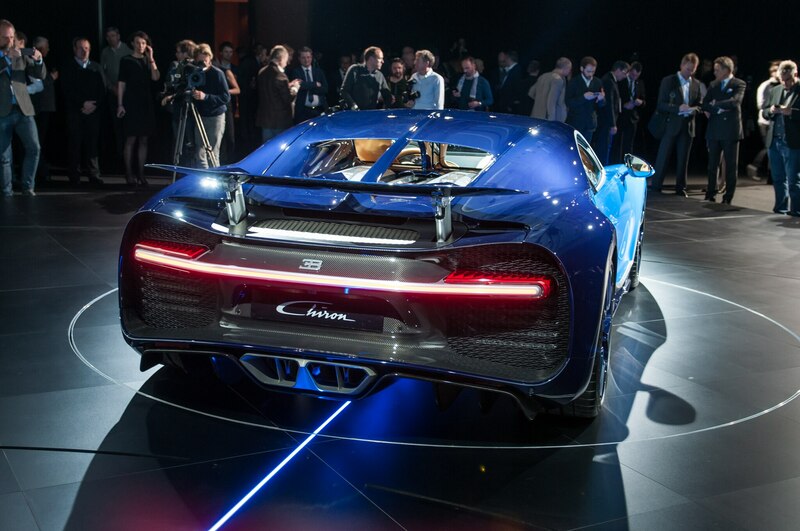 Carbon fiber is used extensively throughout the Chiron. 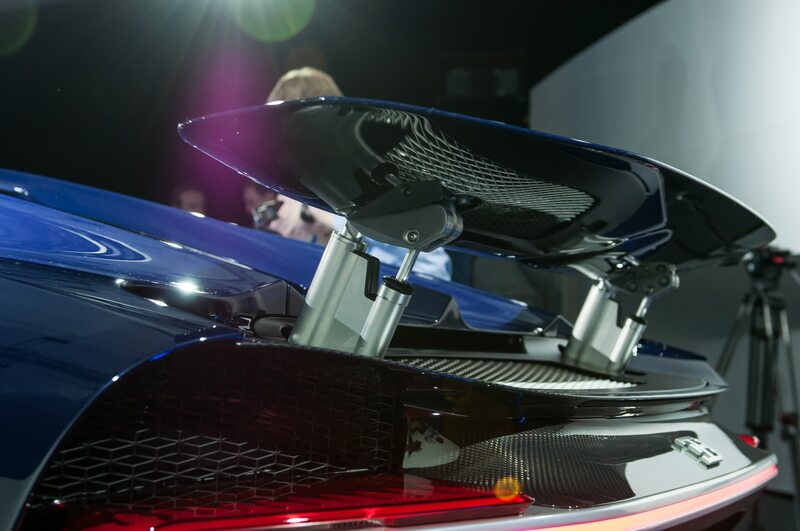 The monocoque, which takes four weeks to develop, is made entirely from it, as is the rear end, the underbody, the exterior body shell, interior pieces, and even the light trims. 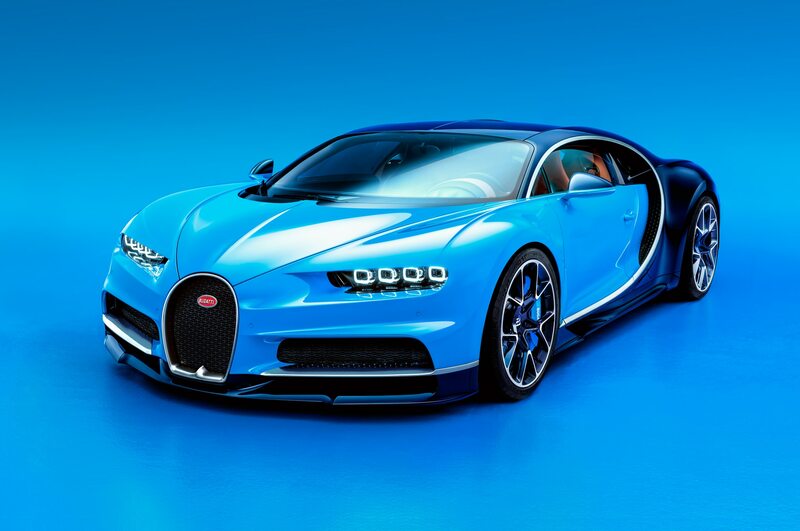 Its overall rigidity is on par with Le Mans prototype LMP1 cars as a result, according to Bugatti. 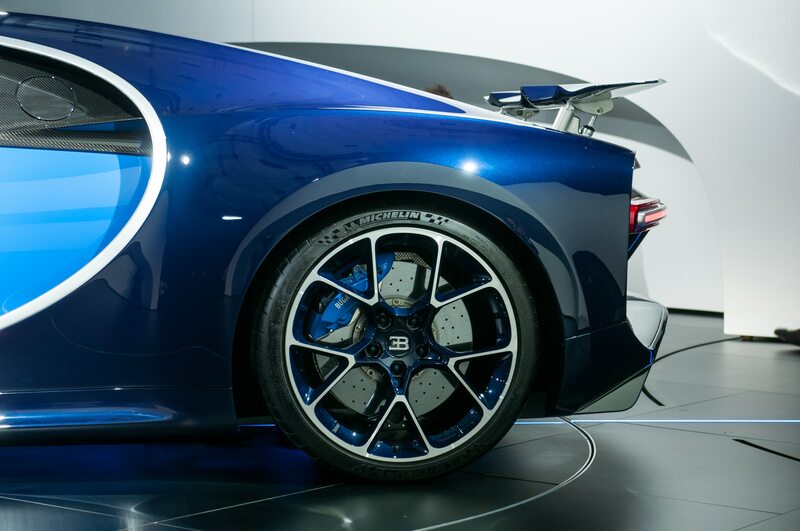 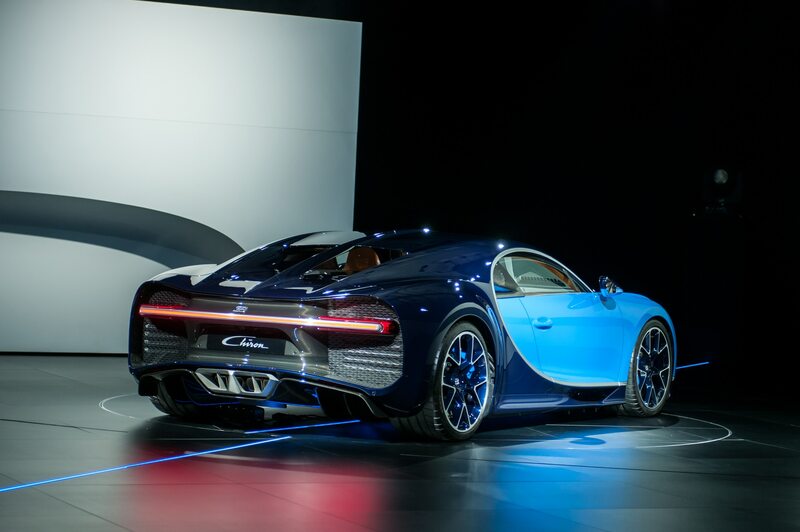 Going from a standstill to 62 mph in the Bugatti Chiron takes just under 2.5 seconds, and it decelerates from 62 mph to a stop in just 101 feet, thanks to carbon-ceramic brakes and an active rear wing that can also function as an airbrake. 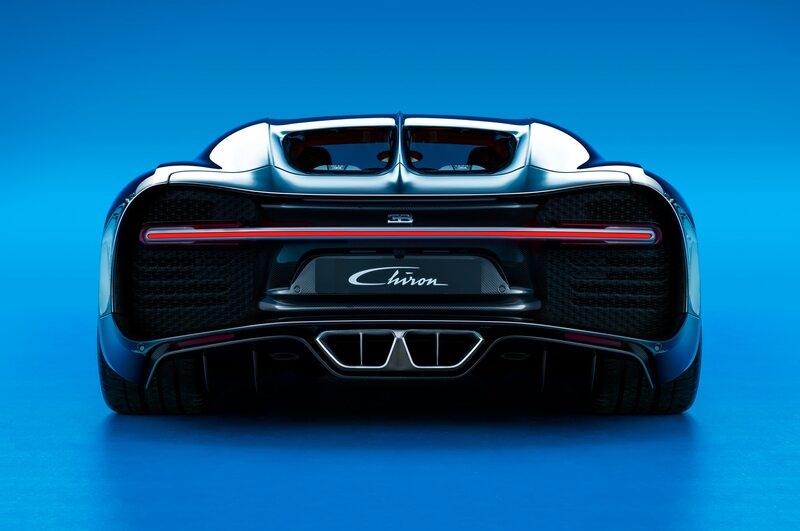 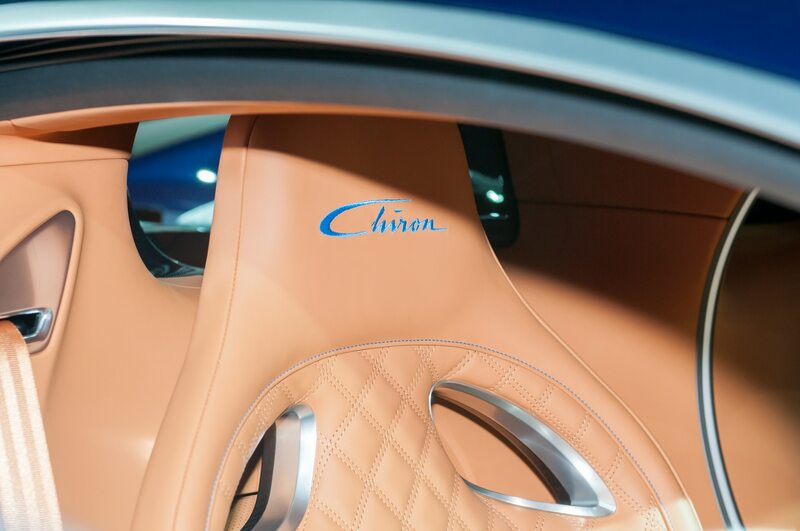 An all-new adaptive chassis underpinning the Chiron has five distinct driving modes and rolls on a unique set of Michelin tires that underwent aerospace testing. 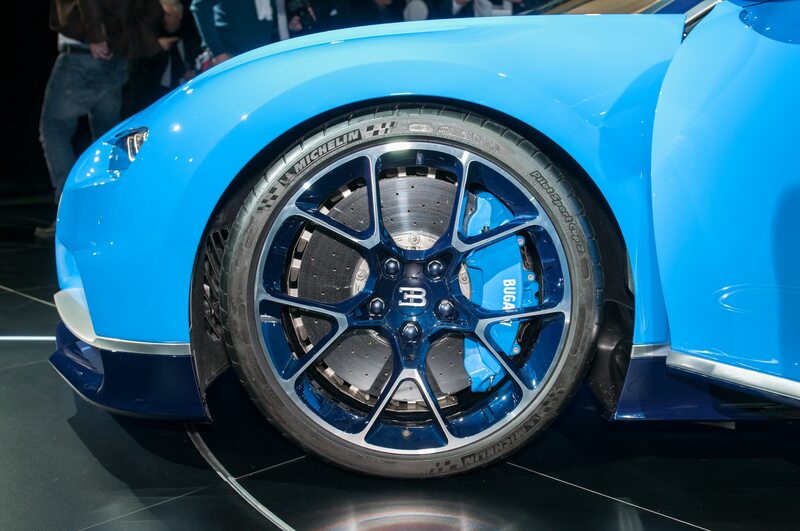 Both help the Chiron achieve a stunning 1.5 g of lateral grip. 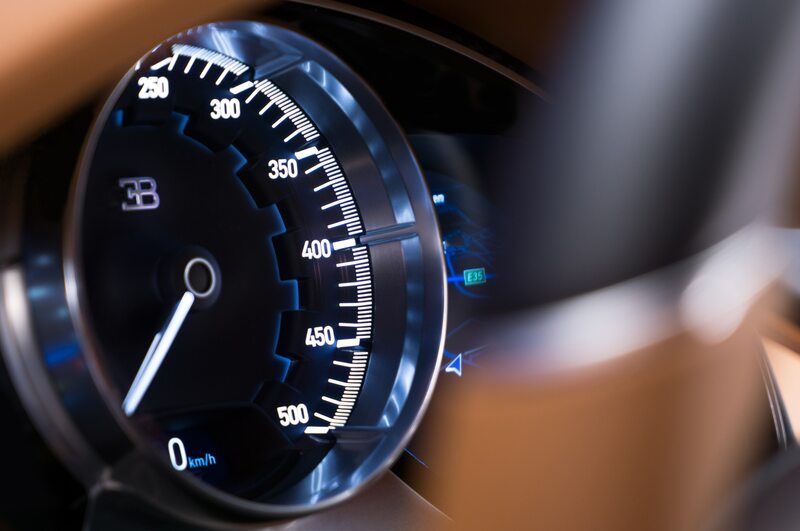 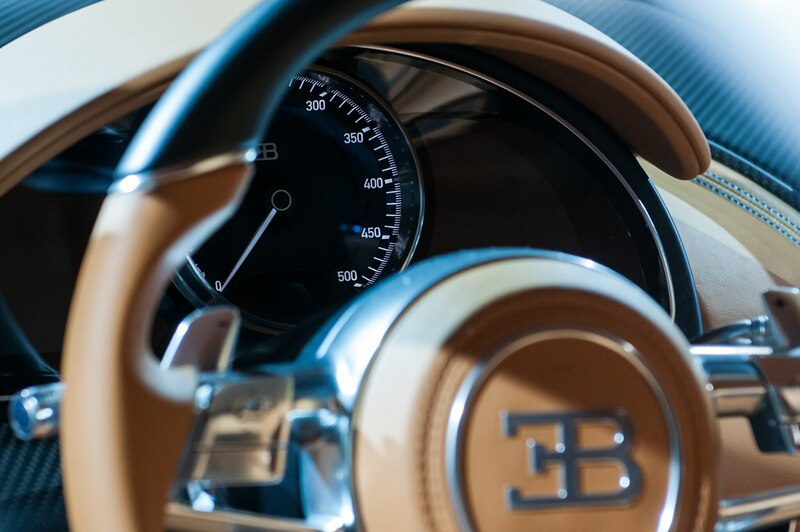 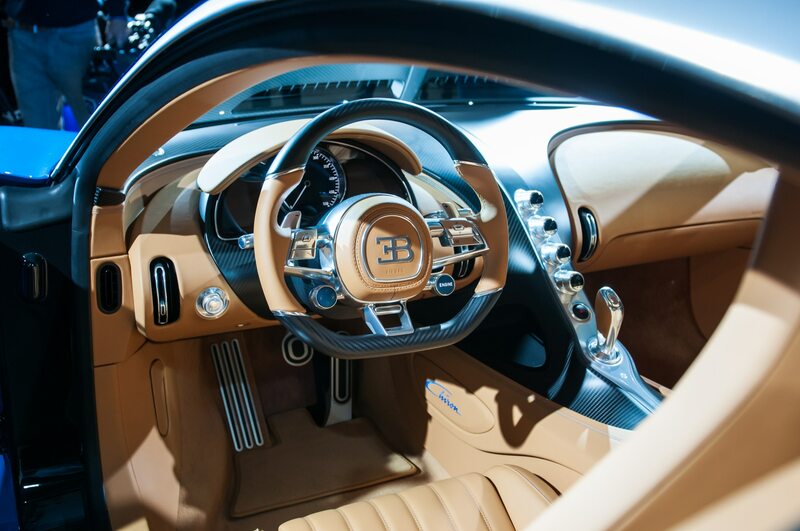 The speedometer reaches over 300 mph, even though the advertised top speed is 261 mph in base production spec trim, roughly what the outgoing Veyron Super Sport achieved. 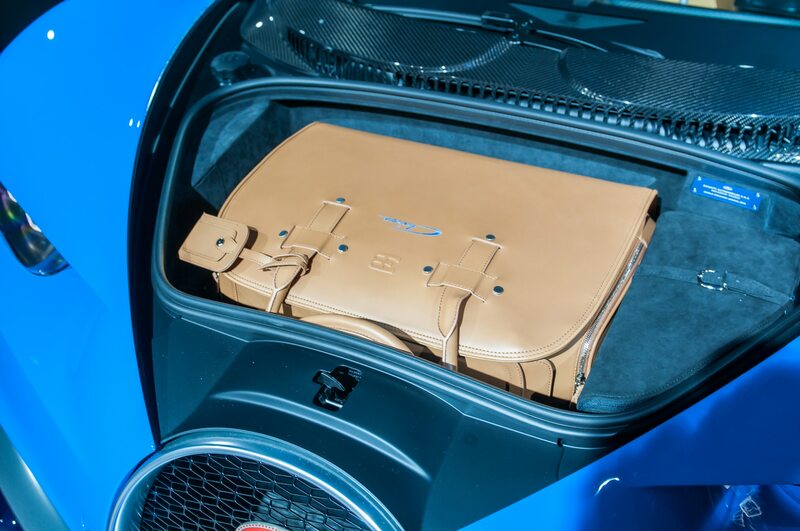 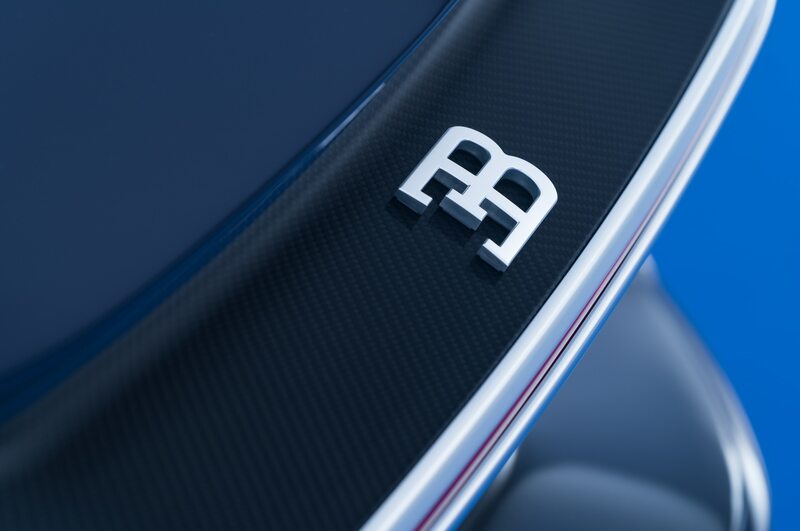 But according to Molsheim, with an optional “special package,” Bugatti engineers on hand, and a few other adjustments to the car that the company is keeping close to the vest, the Chiron’s top speed is rumored to somewhere between 275 and 280 mph, possibly more. 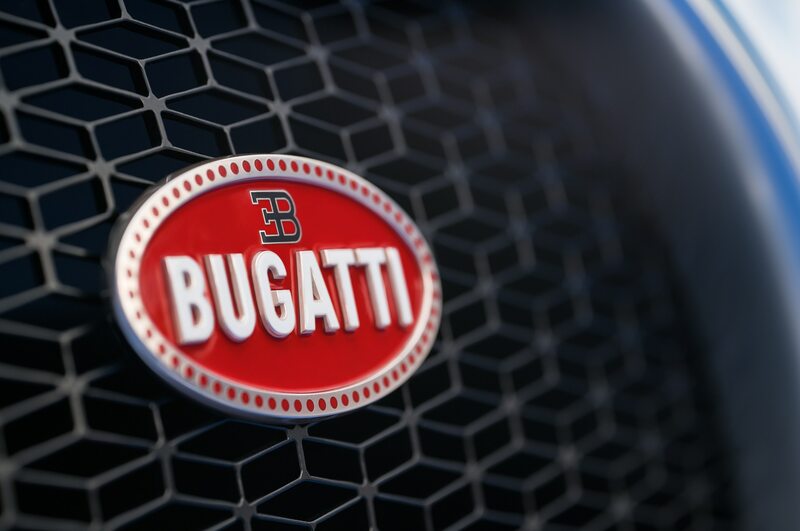 Several boutique automakers have been making top speed claims that eclipse those of the Veyron in recent years, including Hennessey with its Venom GT and Koenigsegg with the Agera R. But make no mistake: Bugatti is planning to eclipse them all with the Chiron, and officially certify it. 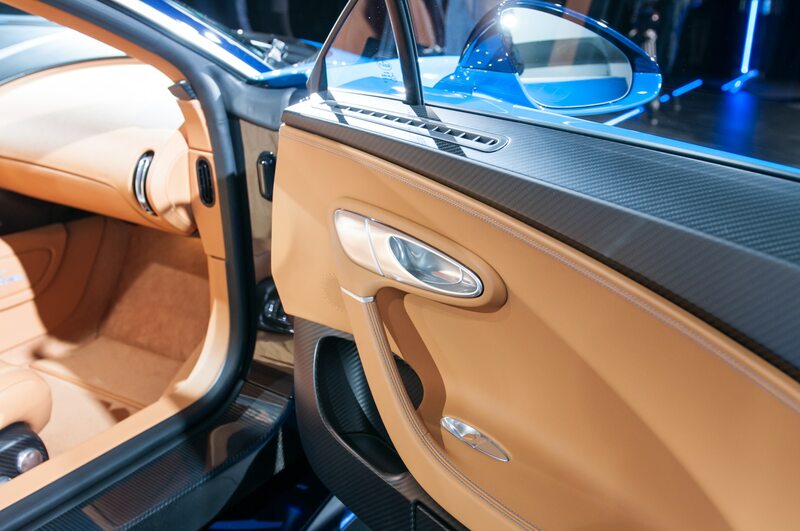 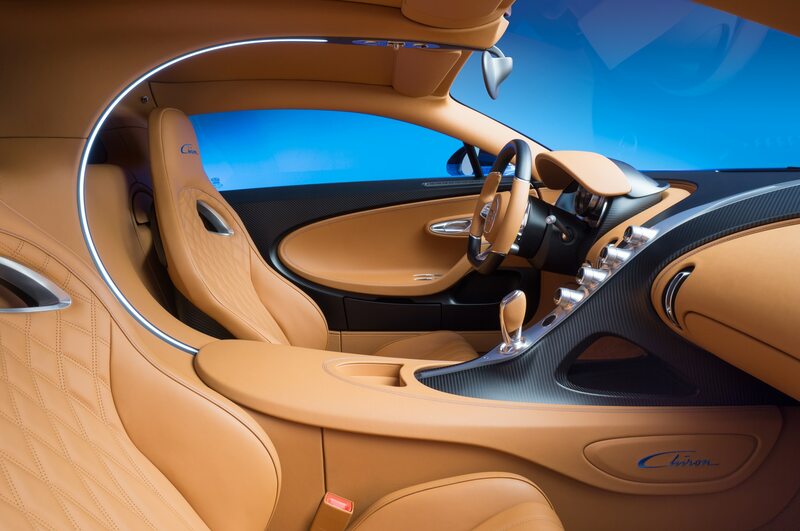 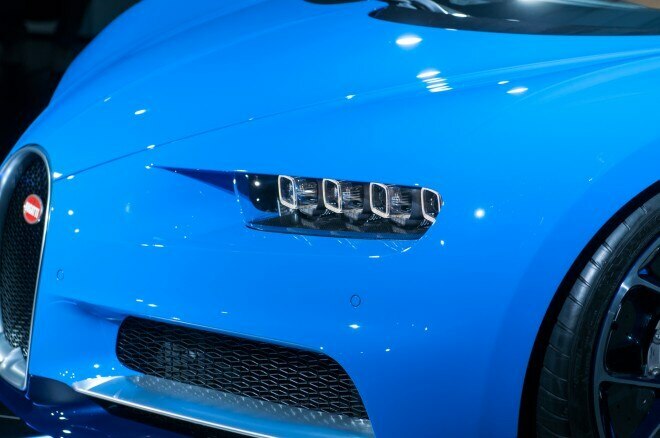 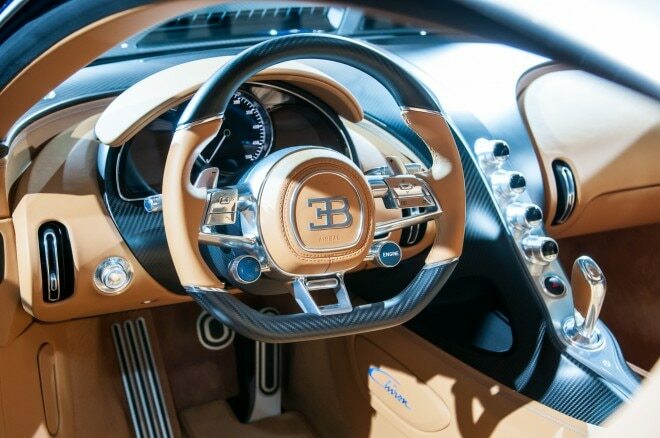 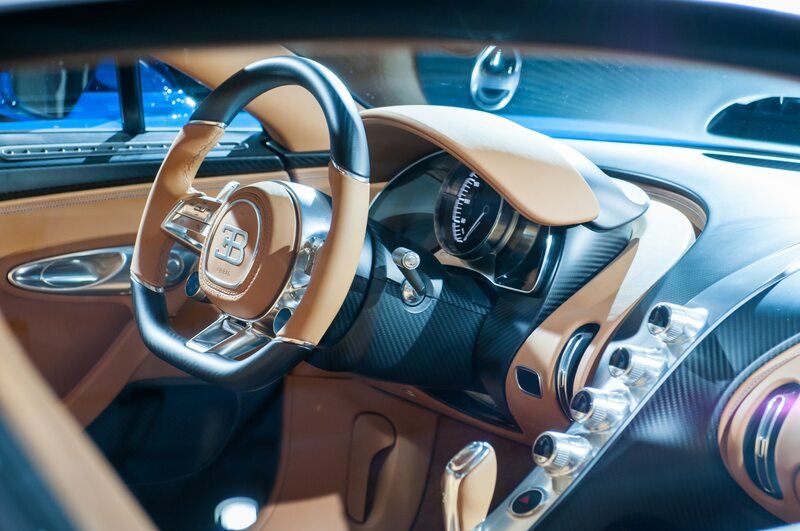 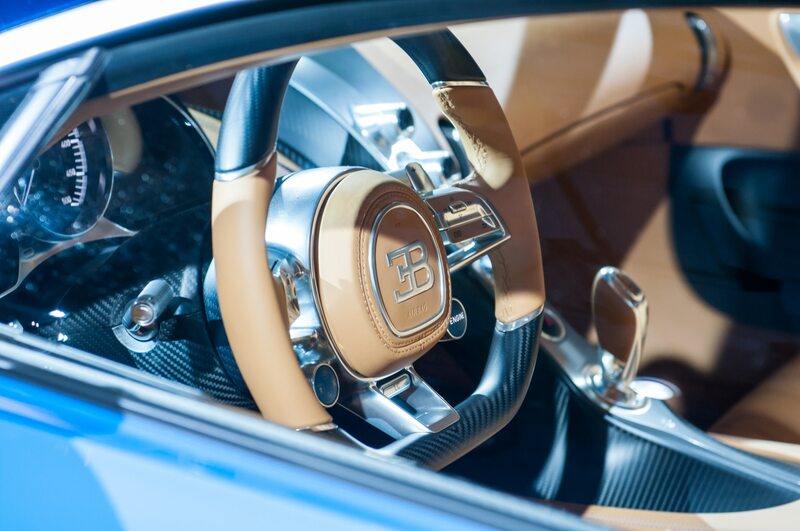 While being the fastest car on earth is a huge goal, Bugatti hasn’t forgotten to make sure the cabin will be world-class as well, with high-resolution instrument cluster, a top-flight sound system, hand-crafted cabin materials, controls with improved ease of access, and three types of seats. 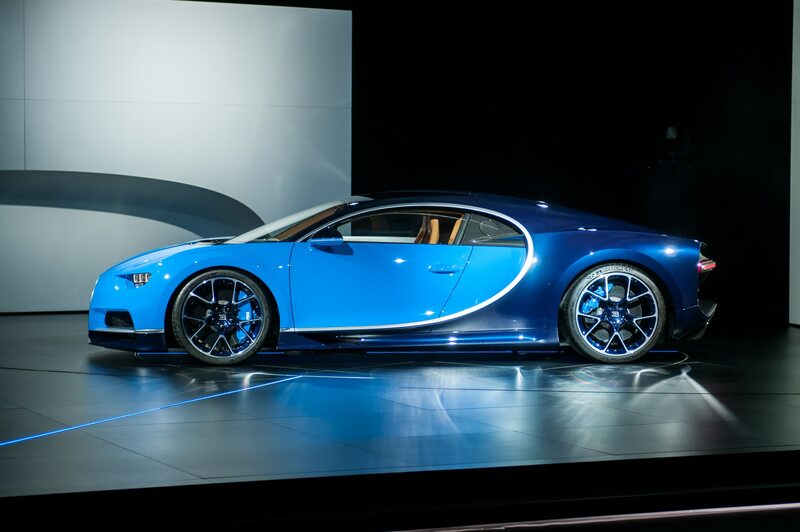 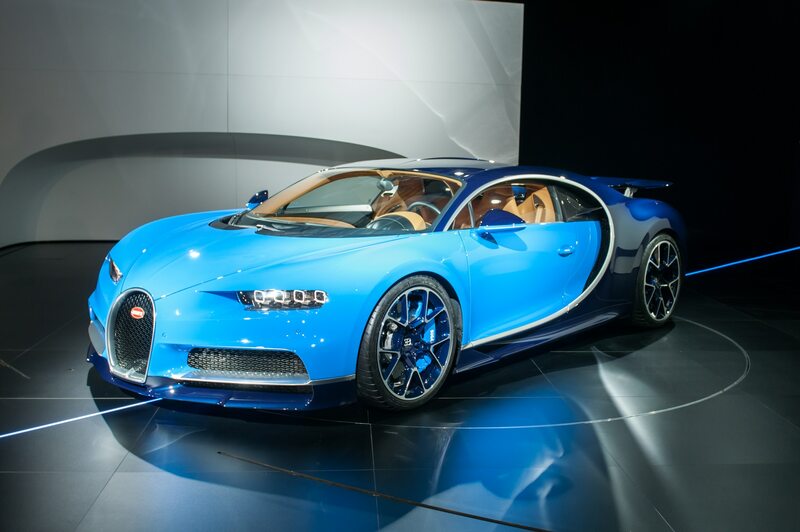 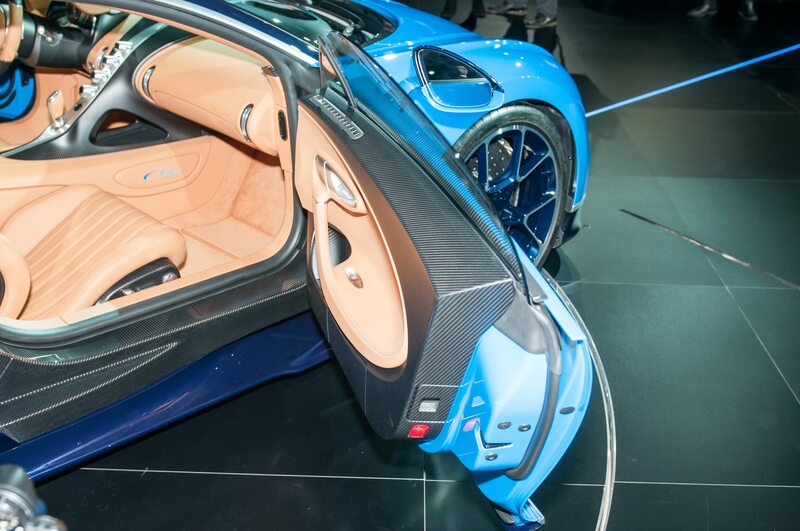 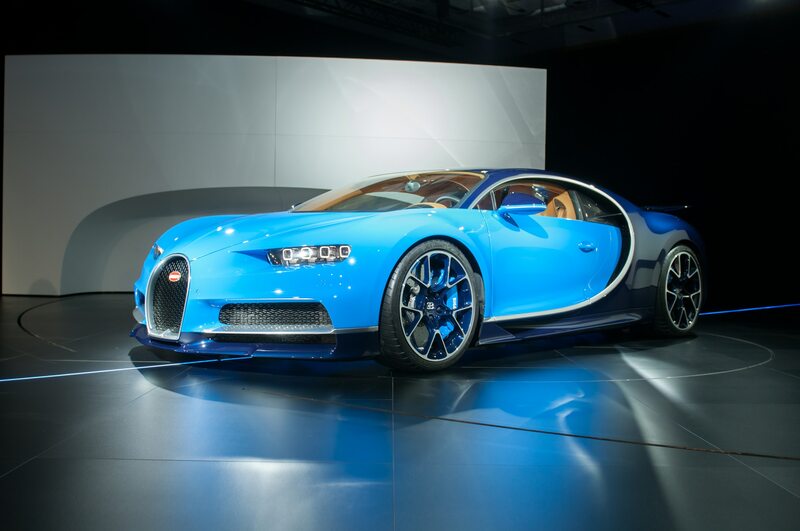 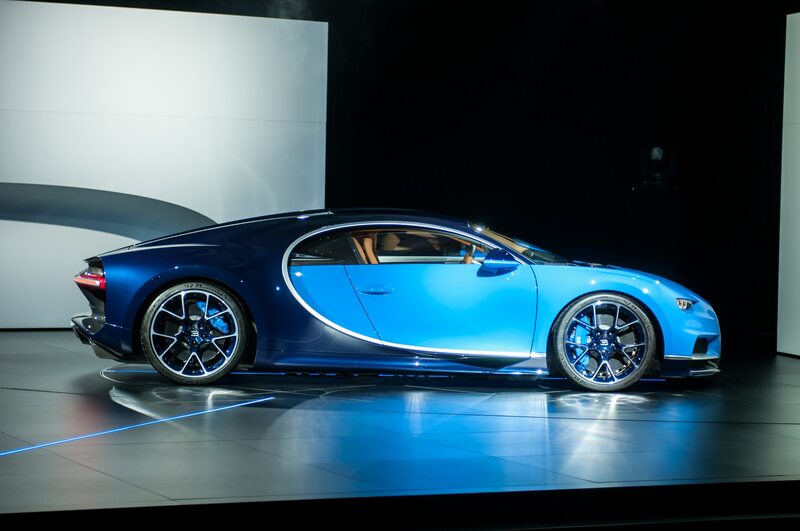 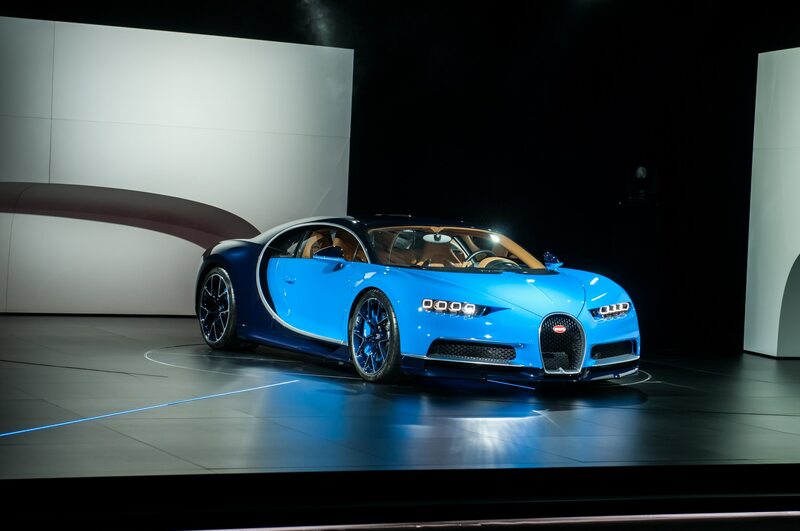 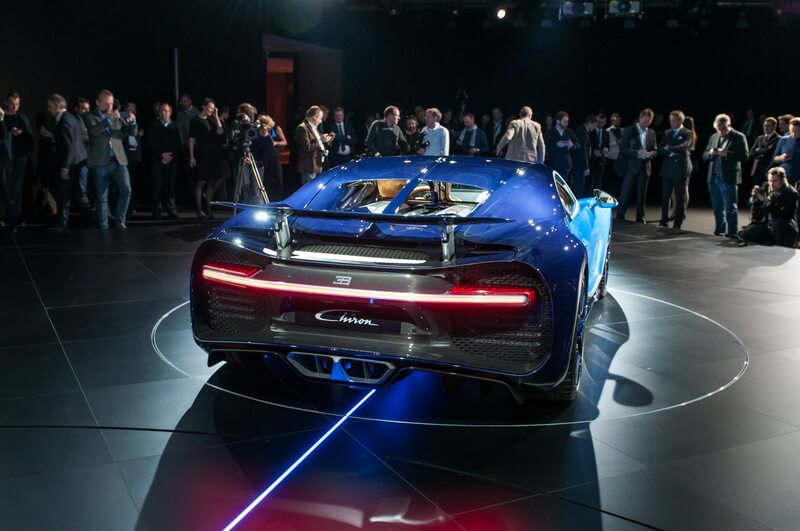 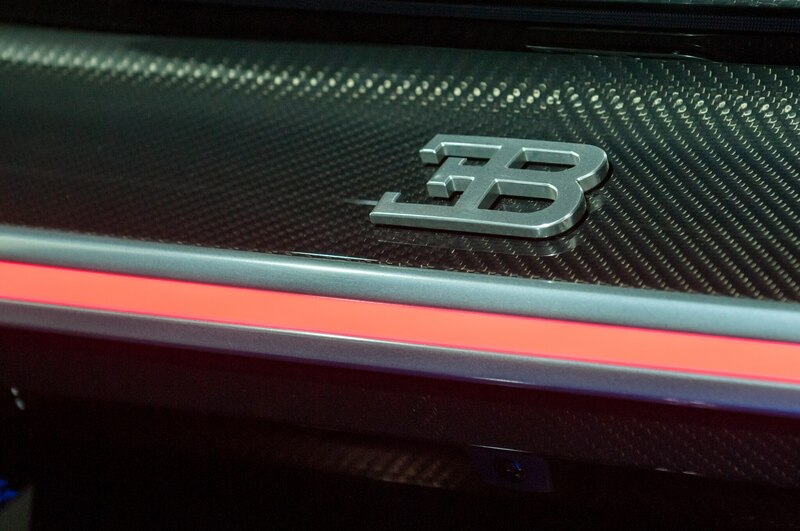 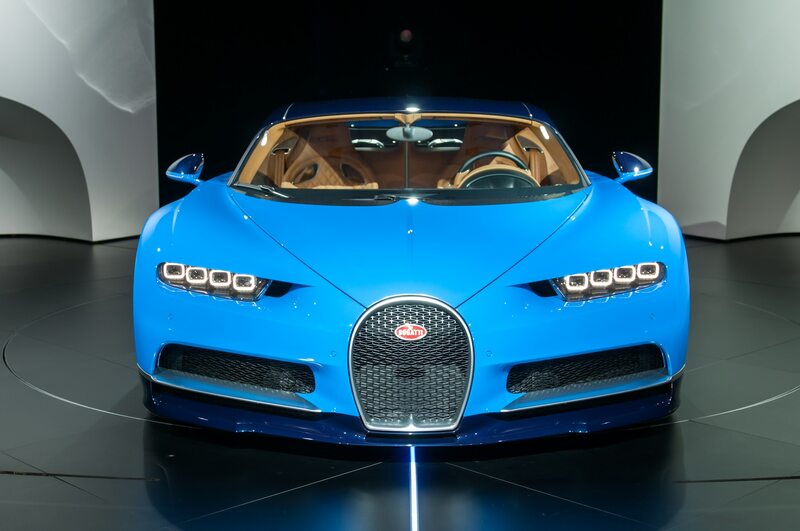 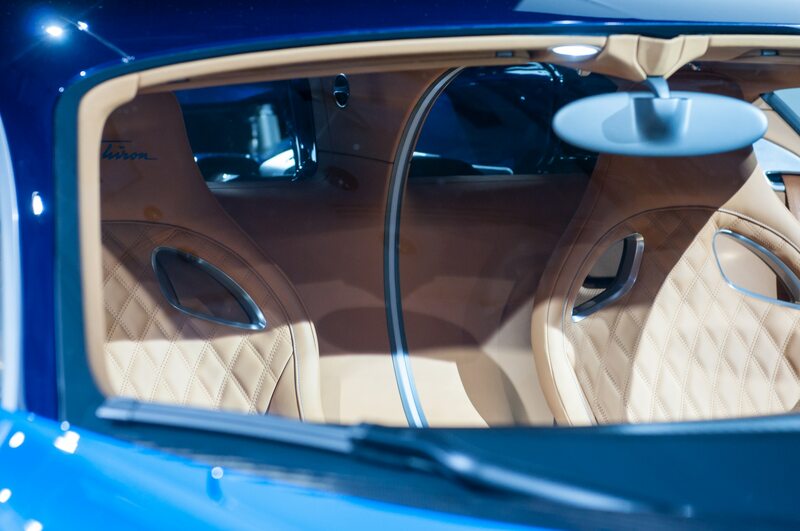 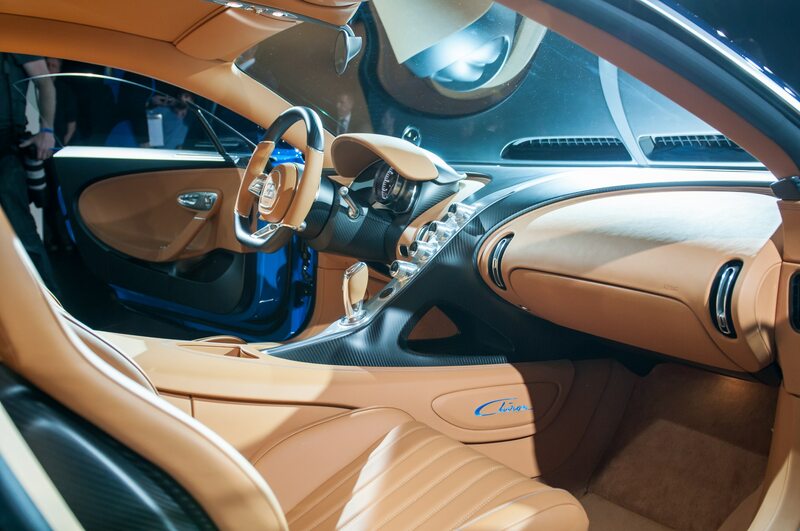 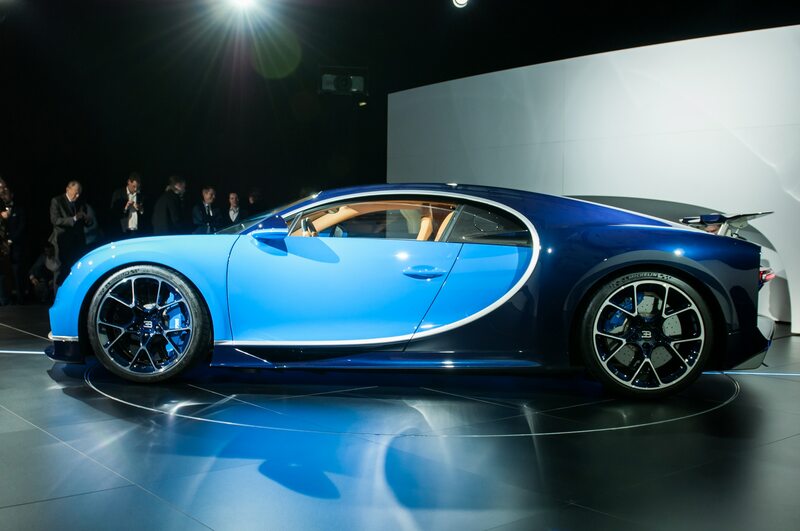 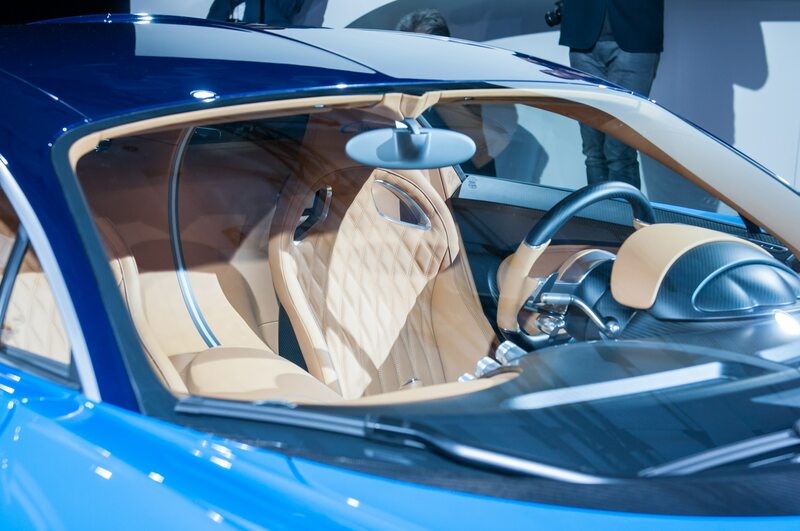 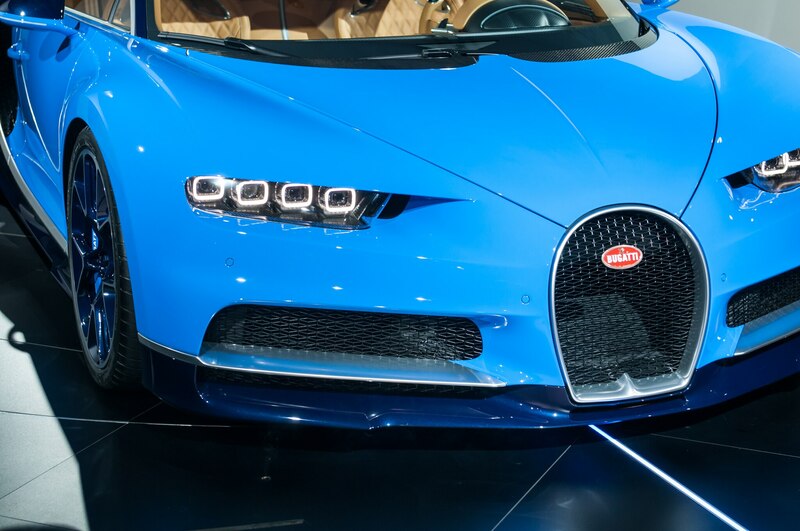 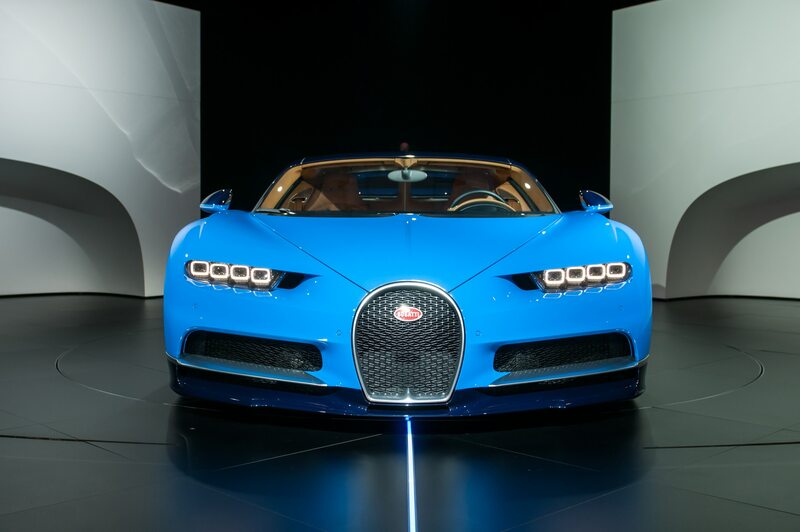 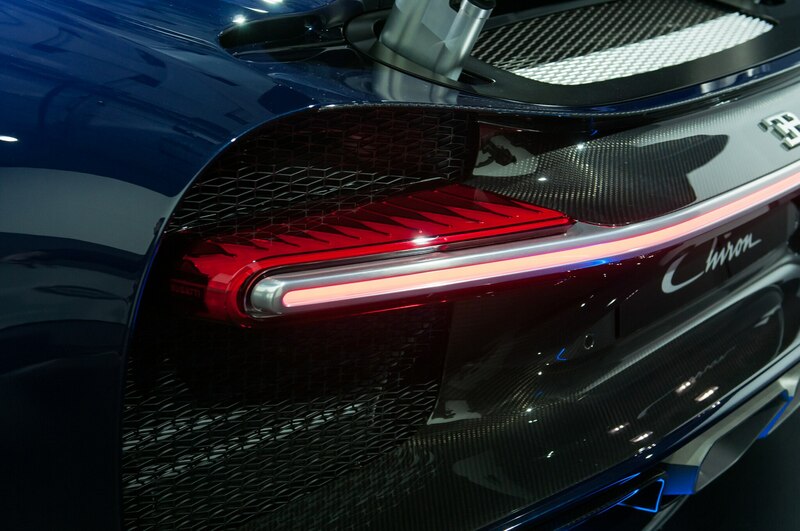 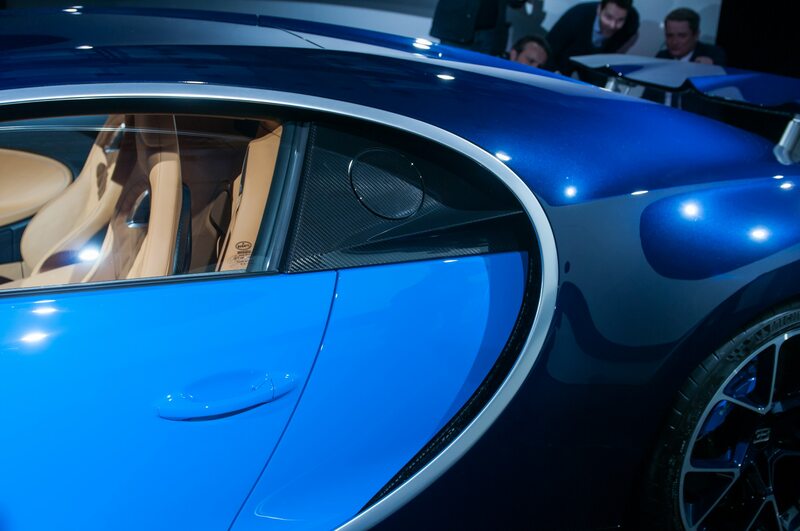 Bugatti also claims the interior’s signature C-bar light feature is the longest light conductor in the automotive industry. 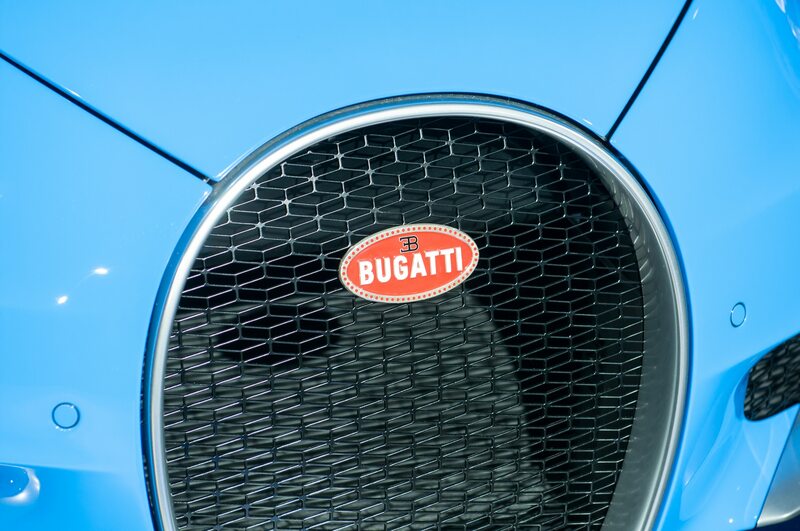 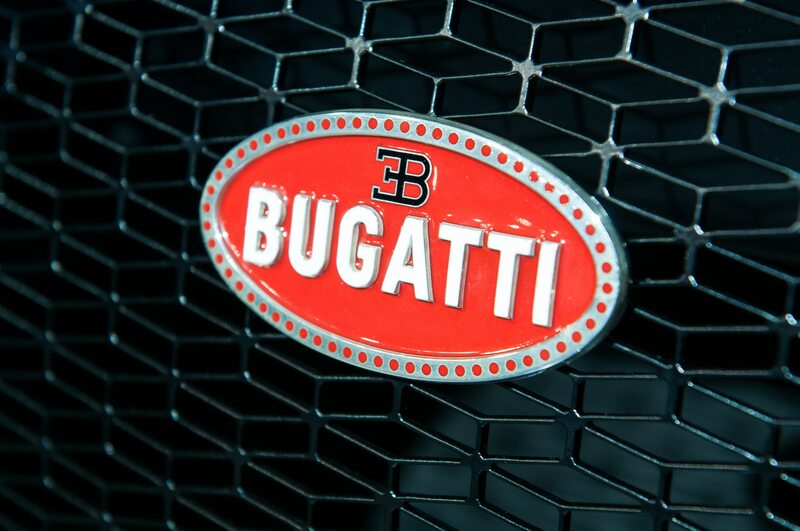 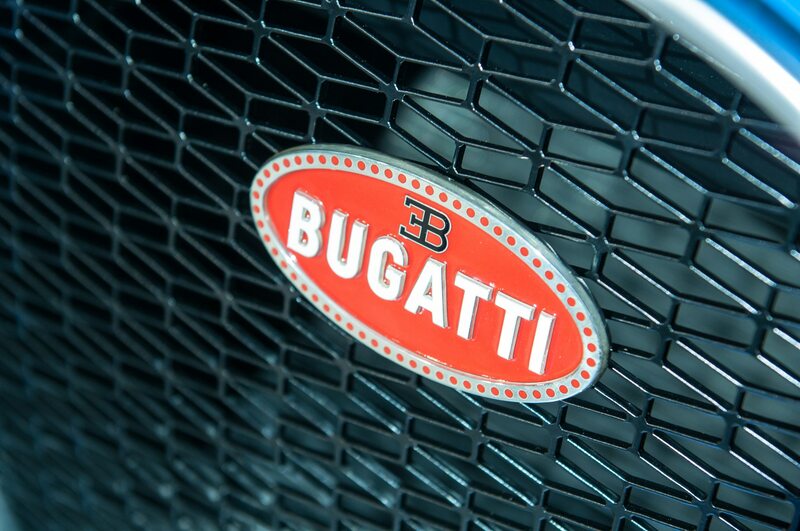 The exterior carries over several elements from the Veyron, including the large air intakes behind the doors and the classic Bugatti grille. 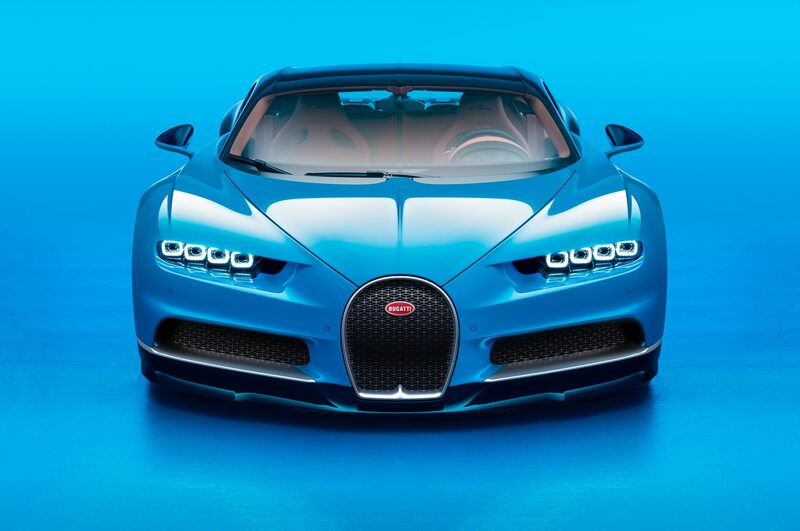 The overall shape was previewed by the Bugatti Vision Gran Turismo shown at last year’s Frankfurt auto show, and even some of that virtual concept car’s wildest elements remain. 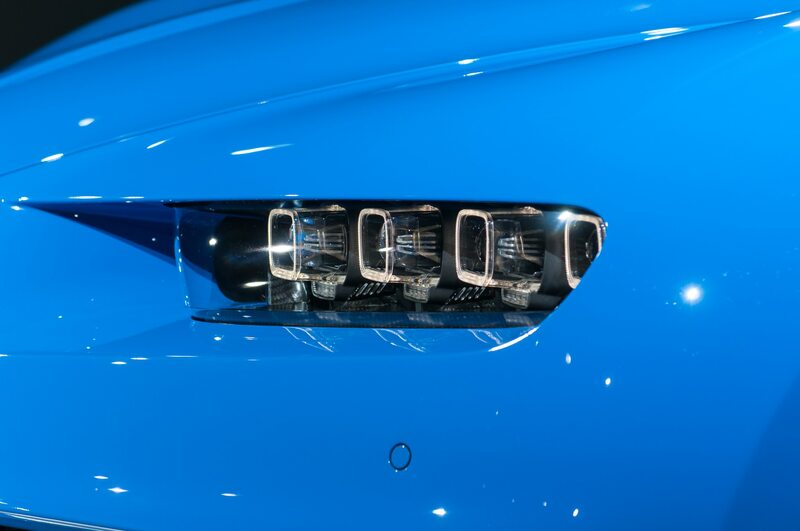 A thin, horizontal taillight bar stretches across the entire rear end, and “eight-eye” headlights use four LED lighting squares on either side, with each mounted on its own aluminum arm. 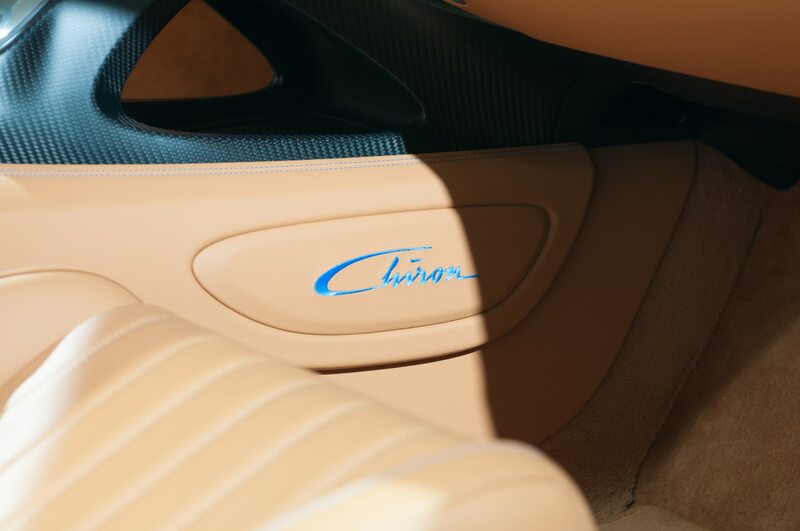 The Chiron seems to build on what the Veyron started—being an exclusive and desirable supercar with ludicrous performance that just about anyone with enough money can harness. 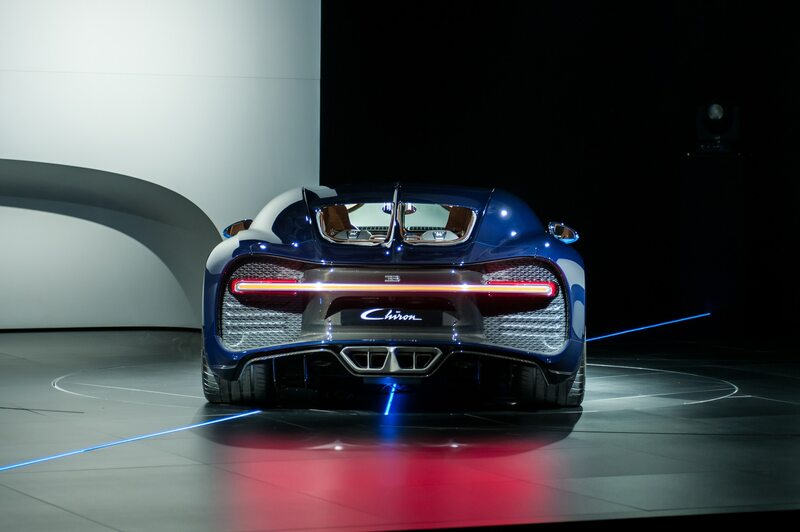 We’re excited to see what the Chiron can do, but we can’t help but wonder where we go from here. Seems like we’ll be waiting for the Chiron’s successor to answer that question.